Slow hair loss on your brows while filling in over-plucked or sparse hairs with Joan Rivers Beauty® Great Brow Day. This transfer-proof powder helps prevent future hair loss with Procapil™, an ingredient that rejuvenates the hair bulb, while conditioning agents coat each hair to strengthen and fortify. A unique double-ended brush ensures precise application, to create more defined, fuller and younger looking brows instantly. Available in Red, Blonde/Lt. Blonde or Brunette/Salt & Pepper, which match the Great Hair Day shades. 0.053 oz. Start by separating brow hairs with mascara end of brush. 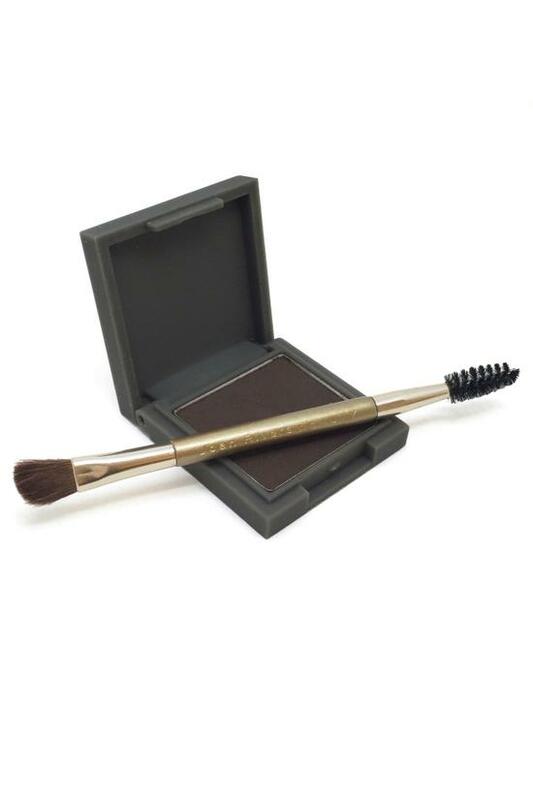 Next dab, application brush in powder lightly, and sweep over brow working out to the outer edge of brow. Use this brush with the flat end facing the inside, and the pointed end facing out. Titanium dioxide, iron oxides, talc, mica, boron nitride, zinc stearate, nylon -12, octyldodecyl stearate, dimethicone, mineral oil, kaolin, zea mays(corn) starch, silica, diazolidinyl, urea, potassium sorbate, iodopropynyl butylcarbamate.